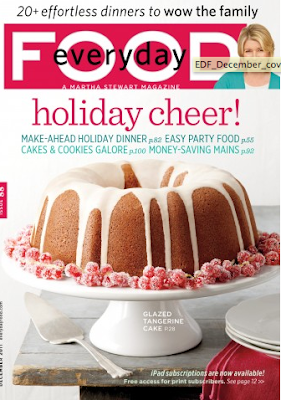 December's issue of Everyday Food is a great one! This is just one of many recipes I've made from it. The original recipe is for burgers made with lentils and ground chicken, but I used turkey since we had some in the freezer. I hate when recipes include a cooked ingredient, like you're supposed to just know exactly how to prepare something before you start reading the instructions! To make two cups of cooked lentils use one cup of the dried ones. Make sure to rinse and inspect them for any yucky ones or lentil impersonators first! To cook them, use two parts of water to one part lentils. I did two cups of water to one cup of lentils. Bring them to a boil over medium-high heat, then reduce to a simmer and cook until softened to your liking. Mine took about 25 minutes. Now that that's out of the way, let's get started on the burgers. Unbeknownst to me I was using 2 pounds of turkey - double what I needed! Bryce caught on and brought it to my attention. They were still delicious so I can imagine they'd be even better when you use the right proportions! Who wants to come over and try a leftover burger? We've got plenty. Start by adding a bit of EVOO to a pan and browning the onion to perfection. Just before you're ready to take the onion off of the heat, add the cumin and let it heat for another minute. Take in a whiff - once it's fragrant remove the onions from the pan. Meanwhile, combine the turkey, breadcrumbs, egg, cilantro, and salt/pepper. Once the onions and lentils are finished, add them to the bowl and mix thoroughly to combine. You could use a spoon but clearly the best way is to use your hands! Form into 4 patties. If you accidentally use double the amount of turkey, make 8 burgers (not recommended)! Add a bit more EVOO to the pan over medium heat. Cook the burgers until golden brown, or about 8 - 10 minutes, then flip once and repeat for the other side. That's what I'm talking about! Make sure you cook them throughout since it's turkey. Serve on english muffins with tomato slices. Healthy but delicious!